The World Congress of Aesthetic Medicine will be held for the first time in South Africa, in Cape Town between the 14th and 16th of February 2013. Dr Clark will host international colleagues and guests as a Key Note Speaker, Trainer and host of numerous training workshops. Dr Clark will be representing Restylane, Palomar Lasers, and Botox on this international stage. Palomar Laser is a top performing platform at SAI and internationally. Dr Clark will be discussing and training on the latest OPL (Optimised Light Technology) vs traditional IPL treatments. 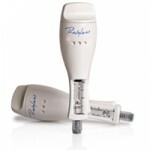 OPL Max G OPL means a more accurate, safer and predictable result with far less pain. Treatments now can be targeted better for specific indications and higher power at lower temperatures ensure accurate and comfortable results. As we all know Dr Clark is the international trainer for Restylane Dermal Fillers, but as he is presenting to the international world, here is a quick reminder as to why he uses it. Restylane; the most clinically studied dermal filler in the world today, and it boasts having done more treatments than any other dermal filler on the planet. Dr Clark has pioneered many techniques and indications and he will be teaching international guests how to achieve similar results seen at SAI. In return Dr Clark will be able to gather information about trends in Europe and the United States and introduce them to his SAI patients. Probably the best-known aesthetic procedure in the world, and to be associated internationally with the brand is a wonderful honour for SAI and Dr Clark. The pool of doctors to pick from is immense and Dr Clark feels privileged to have been selected to showcase new techniques, procedures and how and why to best combine the toxin with additional treatments. The strong congress program this year will be the major factor attracting delegates to attend this imperative event. The scientific committee at the WCAM is made up of experts from various countries that understand the educational and business needs of physicians in the industry. That is why Dr Clark feels honoured to be given such status at the event.